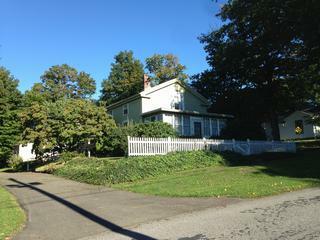 Historic two-bedroom, two bath home across the street from Welch Field in Westfield, NY. Large kitchen with eat-in area. Cozy living room, dining room and den area. Additional finished outbuilding. Also available, one-bedroom lakefront condo at Edgewater in Westfield also available. This furnished upper-end unit is available for only $550 a month. Contact Howard Hanna Holt Real Estate (716.753.7880) or email rentals@howardhannaholt.com for more details.